Public relations and social media are logical bedfellows. At its best, social media marketing is about brand engagement and conversation, while PR is about keeping your brand in the front and center of the mass media conversation. With organic reach on Facebook plummeting and all social channels shifting focus to personalized engagement, it’s possible to drive sales and capture leads on social media, but this is hardly its primary purpose. 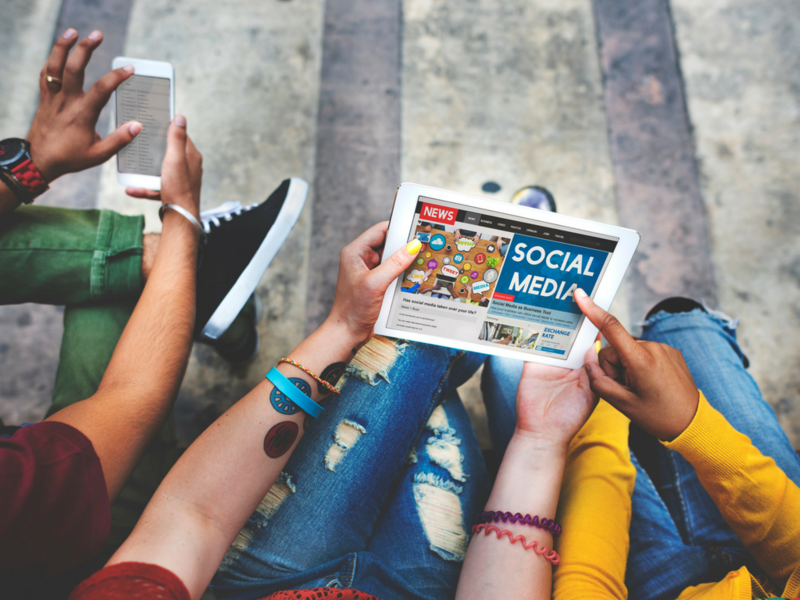 Increasingly, social media marketing has become about building brand affinity in the minds of your target audience members – and at its core, that’s what PR is about, as well. 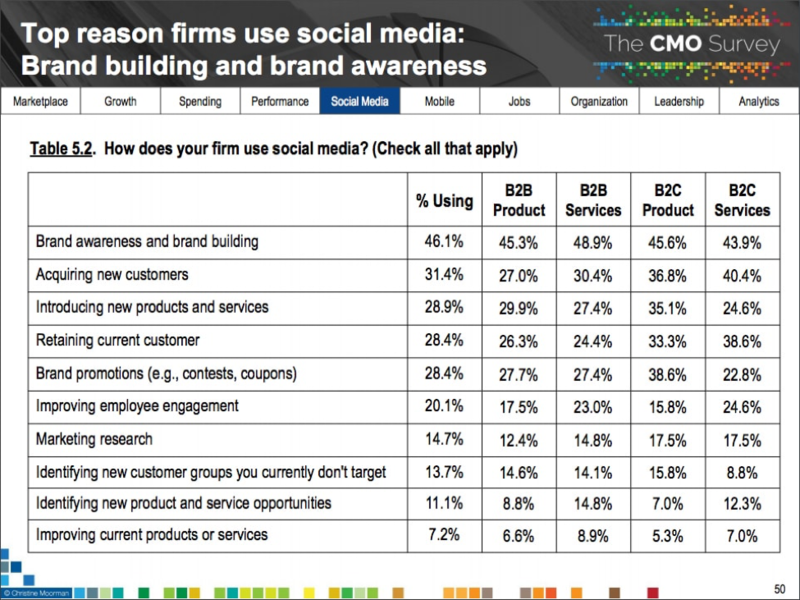 In fact, Duke, Deloitte, and the AMA’s CMO Survey recently found that brand awareness is the most popular use case for social channels. And given that media contacts and audience members who match your buyer personas are spending several hours every day on Facebook, LinkedIn, Twitter and beyond, it makes sense to align your publicity strategy here as well. Here are some things you can do to make the most of the PR opportunities that social media has to offer. 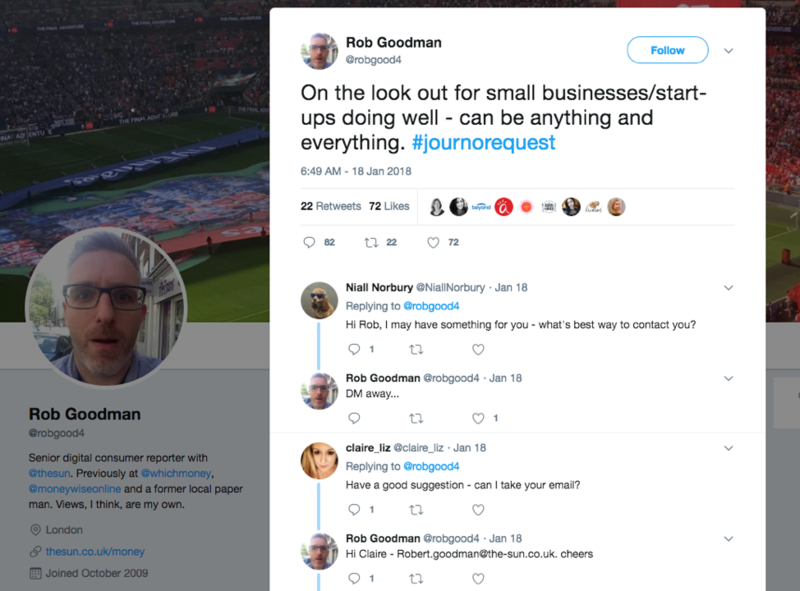 PR is about getting coverage for your business in the press, a goal that requires you to connect with the people who provide that coverage. But randomly pitching journalists with a spam email or press release link is often a wasted effort. Twitter is an especially fruitful place to connect with journalists, since media professionals spend the most time here, so they can benefit from the culture real-time reporting. You could spend hours tracking down interesting journalists to follow across social media, or you could save those hours by using the work that others have already done. Twitter is full of contact collections and associated tweet streams called lists – thousands of them, mindo you – that users have spent time curating, so you don’t have to. Take a few minutes every day to check out these lists and subscribe to the most relevant ones. 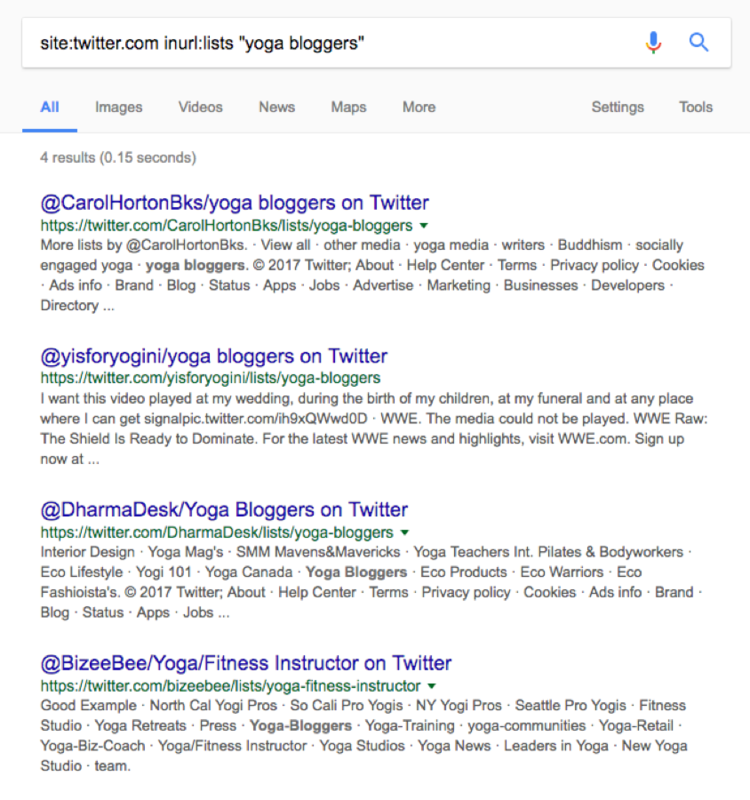 The results, however few they may be, are likely nothing but relevant Twitter lists. Here’s another tip. Journalists often use the hashtag #journorequest to find people to connect with. Follow it, and you’ll find journalists to pitch with your story ideas. Here’s a great recent example of this in action. Of course, building relationships is about more than throwing pitches, so use these tips as a starting ground for connecting with the right bloggers and journalists. If you know of someone else who would be a great fit for something they’re looking for, make an intro. When you help journalists, they’ll be more inclined to help you. You could have the best content in the world, but if there aren’t any eyes on it, is there any real value to it? Even earned media in top-tier publications often needs a push to get the best value, so investing in content distribution is key. The more eyes on your content, the better the impact. And the faster and further you can push it out to the world, the higher the potential ROI. Share your content organically from your personal social channels, as well as your branded channels. And ask your audience to do the same. 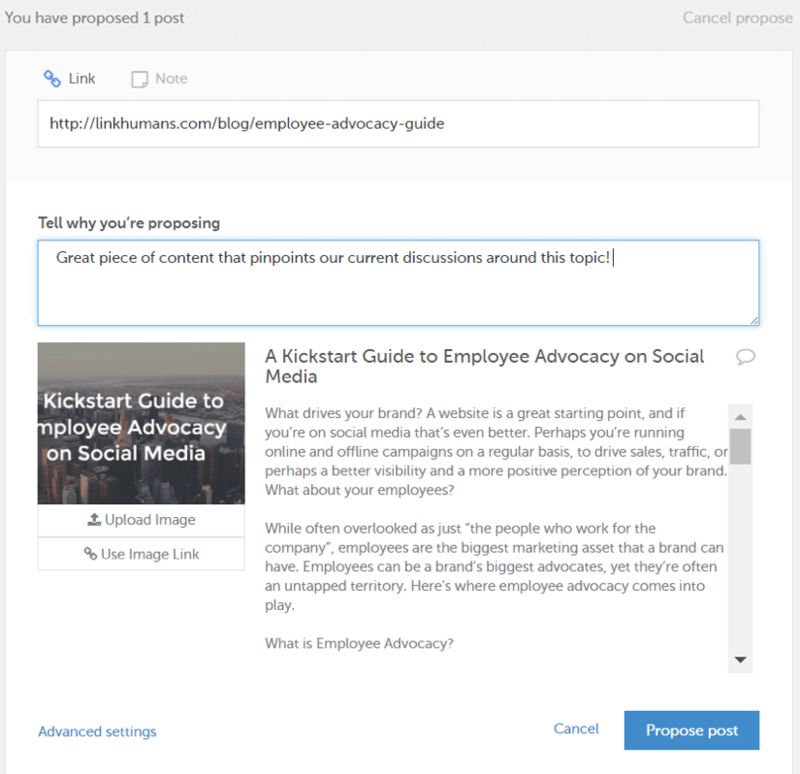 Get your employees involved in sharing your content, too. With a platform like Smarp, building and managing an employee advocacy program becomes much easier. You can connect your company’s various feeds to the platform so that content automatically aggregates to categorized feeds of suggested links for your team members to share out. Keep in mind – your employees are the only ones who know your brand like you do, and they can be a trusted source of information for their own social audiences. Let them build their own influence alongside your brand, and you may be amazed at the results you’ll see. With algorithms severely curbing reach for company profiles, peer-to-peer shares are the key to organic content distribution via social media. But organic shares will only get you so far, and you might not want to count on those shares being enough to gain real traction. That’s where using paid content distribution through ads on social media platforms can give you an extra boost. Experiment with different copy and photo visuals on Facebook and Twitter to see which ones deliver the best results. Play around with budgets and adjust them according to the results of your small-scale tests. Spend the most money pushing the ads that are performing the best, rather than guessing at what will produce results. Getting executives involved in your social media efforts can do a great deal for your business. It’s one of the best ways to build trust and authority with your customers. People tend to think of companies where the CEO is visible as more friendly and approachable. Take for instance T-Mobile’s CEO John Legere. He uses Twitter, where he has more than 4 million followers, and other social media platforms to share witty content and engage with customers. He’s not afraid to show personality, and his posts see steady engagement. Randy Milanovic, the CEO of Kayak Online Marketing. 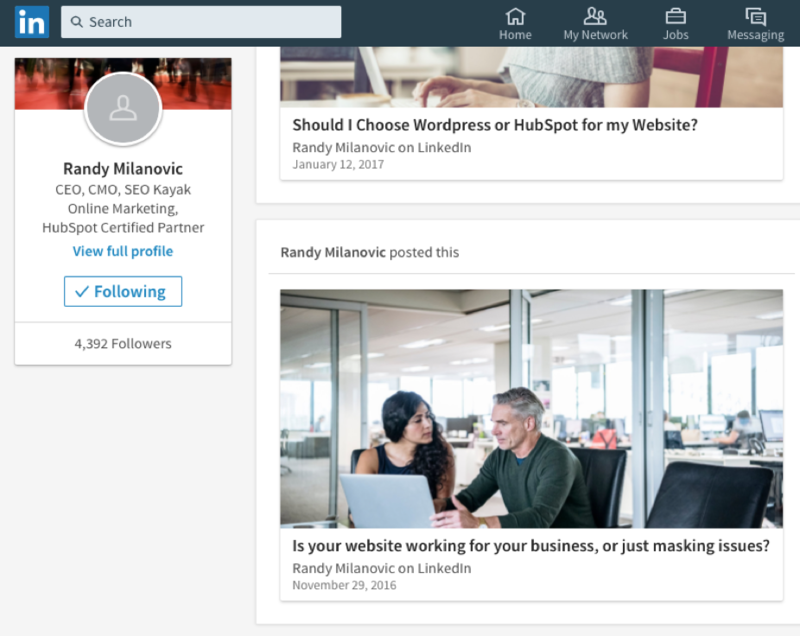 He’s actively involved as a blogger on LinkedIn’s long-form publishing platform, sharing content relevant to his industry that’s also useful to potential clients. He showcases credibility and expertise, which builds trust. Your goal on social media may be to share information about your brand with your audience, but you won’t get anywhere if all you ever do is toot your own horn, promoting your products, services, and sales. Broadcasters like that simply fade into the noise of social media. Play it right, and your social channels can be the perfect springboards for showcasing your leaders’ expertise and driving eyes to earned media assets that provide brand lift. Focus on sharing content that helps your audience in some shape or form – regardless of whether or not it originates with you. Use social listening tools to find conversations that matter to your brand, and when media pros ask for help, take time to answer them, and the press coverage will come. Just make sure to keep the conversation going, leveraging promoted posts and team shares to get the right eyes on your content.